Paws at the ready! 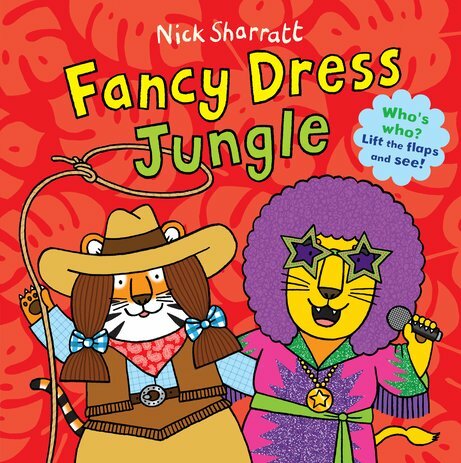 Nick Sharratt is the king of flip-flaps. The jungle has never been so wild. Nick is the man who got us eating ketchup on our cornflakes. Even putting ice cubes in our beds. He’s bold. He’s bright. And now he’s in the jungle. Throwing a BIG PARTY! Leopard prints and parrot feathers. Sunglasses and cowboy hats. Wow: these animals look like rock stars! Peekaboo flaps, bouncy rhymes, zany pictures and madcap mix-ups. Crazy fun from a picture book superstar. 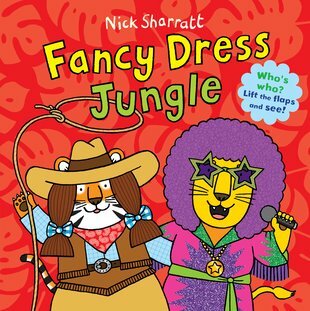 Nick Sharratt is one of the country’s favourite illustrators, with over 100 books to his name. Nick has won numerous awards for his picture books, including the Sheffield Children’s Book Award for A Cheese and Tomato Spider and the Nottingham Children’s Book Award for Elephant Wellyphant.